In partnership with the Fantasy Wrestling Worldwide Chapter and our other wonderful sponsers, we present to you the premier wrestling watch party in the Midwest! We offer an incredible venue for friends, family and wrestling fans of all walks of life who want to hang with other awesome wrestling fans and actually meet some real wrestlers in the process! 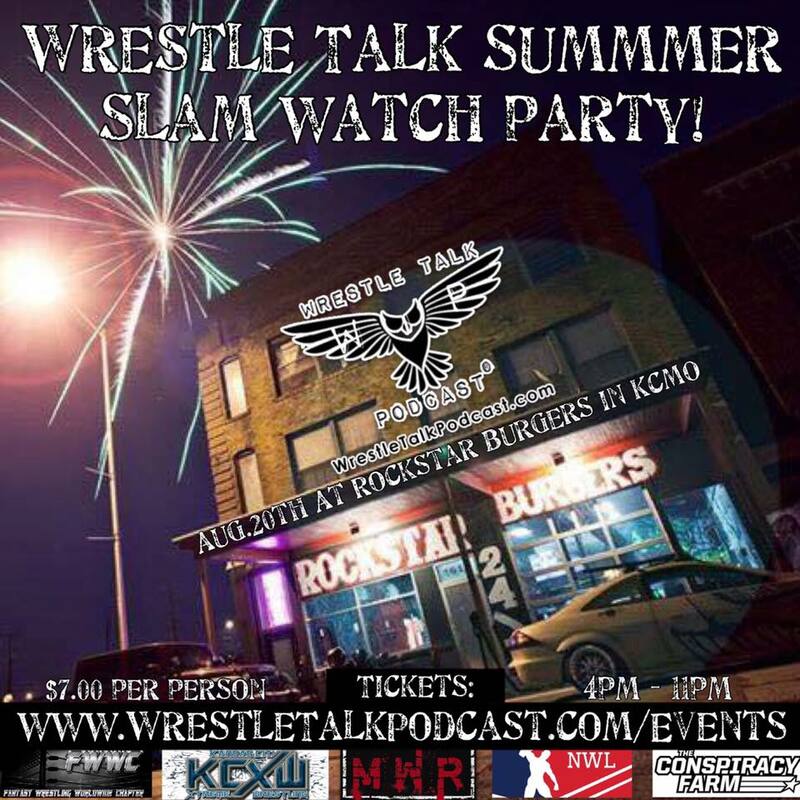 The Knight Owl – Rene Martinez, host of Wrestle Talk, MC’s this event and is accompanied by 50-80 of the coolest wrestling fans from around the country you could ever meet! A chill vibe at a great spot for fans of all ages to enjoy. SO WHAT’S THE PARTY LIKE? – Giving away several FREE TICKETS to local wrestling shows. – Wrestlers will be doing a free autograph signing between 5-7pm. – Special pricing on certain menu items for this exclusive party only. Rockstar Burgers is located in the historic West Bottoms of Kansas City, MO and is a stones throw away from Kemper Arena. So we encourage you to join us as we spend August 20th doing what we love and that’s enjoying wrestling in a great environment with great people in a family friendly but rowdy atmosphere. This entry was posted on August 17, 2017 at 8:14 pm	and is filed under Uncategorized. Tagged: Wrestle Talk, Wrestle Talk Summer. You can follow any responses to this entry through the RSS 2.0 feed. You can leave a response, or trackback from your own site.